Lower price for longer length. Fujikura Panda PM bare Fiber, SM.13-P-7/125-UV/UV-400. Designed for 1.3um, but can be also used for 1.55um. Price is for one meter. 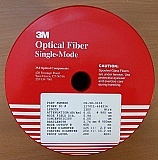 About 205-meter C-band PM Erbium Doped Fiber. INO model: Er 506.